The entertainment experience of a lifetime. Judah Ben-Hur, a wealthy young Jewish prince, is devastated when his best friend Messala, a Roman tribune, orders him to reveal the names of local Jews disparaging the Roman empire. Ben-Hur refuses and earns his friend's eternal ire. Messala takes advantage of an unfortunate accident to accuse Ben-Hur of attempted murder of the governor of Judea. Using his important position, Messala confiscates the family property. He sentences Ben-Hur to a life of misery as a galley slave and jails Ben-Hur's mother and sister Tirzah. Hatred and a desire for revenge are all that keep Ben-Hur alive in the ensuing years. A lucky accident during the heat of battle miraculously gives him the chance for freedom and riches. 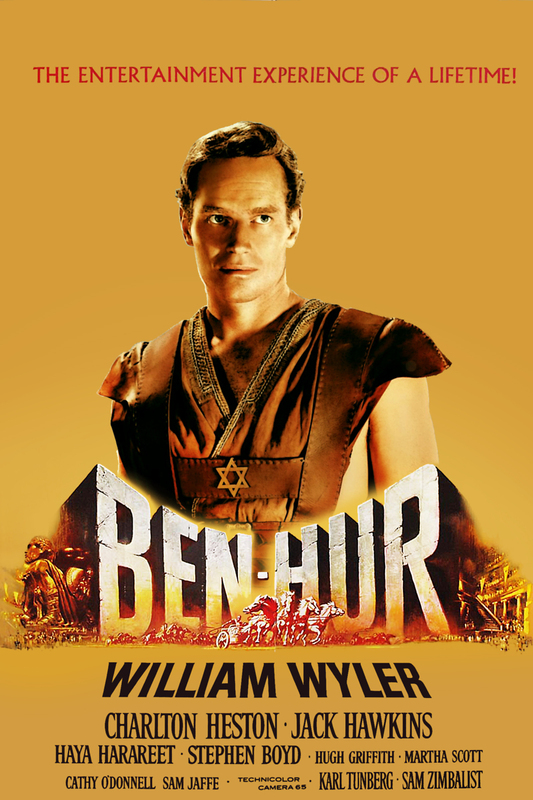 Full of determination to destroy Messala once and for all, Ben-Hur returns to his homeland to locate his mother and Tirzah. What he finds there will change him forever.